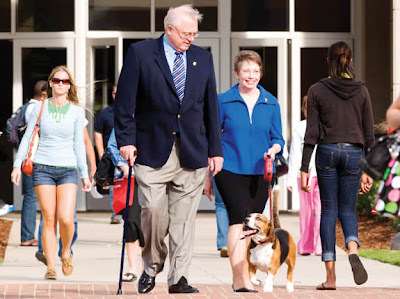 I knew that I liked our new chancellor, Dr. Linda P. Brady, before, but this photo in UNCG's Alumni Magazine seals the deal. AND...we share the same favorite book..."To Kill a Mockingbird." I knew there was a reason I loved your blog, other then your amazing art and humour.